WMM: IFP's Filmmaker Conference is coming up, get passes now! IFP Selects 7 WMM Projects to participate in Independent Film Week! Independent Film Week brings the international film and media community to New York City to advance new documentary and narrative works-in-progress and support the future of storytelling. WMM is excited to partner with IFP for Independent Film Week's Filmmaker Conference! 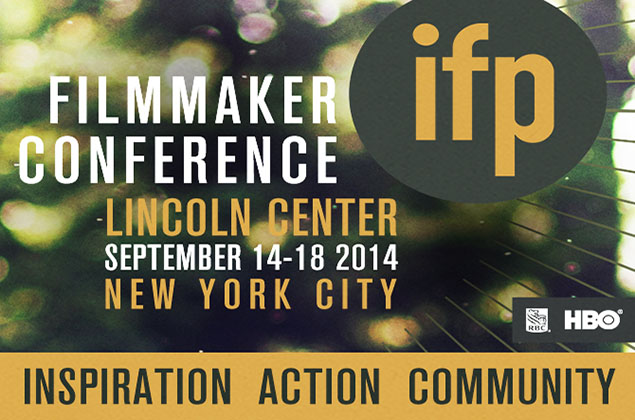 Passes are now on sale for IFP's Filmmaker Conference, taking place from September 14-18, 2014 at the New York Public Library's Bruno Walter Auditorium at Lincoln Center! Act quickly, as only 50 passes remain for our popular Meet the Decision Makers sessions! Whatever form your story takes, IFP's Filmmaker Conference showcases how great projects can connect with audiences and stand out in a crowded marketplace. Over the past few weeks, we have been revealing this year's bountiful line-up, including Keynotes & panels, Pitch Workshops and a New Voices! Screenplay Reading Series, with much more still to come. Read on to learn more about this year's line-up! - #ArtistServices NYC presented by Sundance Institute: fierce conversations around the latest technology and trends in film included a crash course on DCP, creative financing, guerrilla marketing, and independent theatrical distribution. - Meet the Decision Makers: face-time with some of the most exciting organizations in media, such as Sony Pictures Classics, Cinereach, Creative Capital, Tribeca Film Institute, Al Jazeera, Sundance Documentary Fund, festivals, & many more! - Pitch Workshops give you the chance to tell your project to a panel of experts live, and get feedback on how to do it better! Applications open now for screenplays, documentaries, & web-native content! - New Voices! Screenplay Reading Series, presented by SAGIndie: excerpts from four screenplays participating in RBC's Emerging Storytellers program at Independent Film Week performed live.